Took my little dude to the Santa Barbara zoo over the weekend for his first time. slash Zookeeper look. I mean the hat and fringe really sealed the deal don't you think? ha! finding hats that actually fit can be a bit challenging….it's all about sticking with what you know! For all you that have trouble finding hats, I highly recommend this one! I really like the hat, the most glamorous zoo keeper for sure! i seriously love this top! 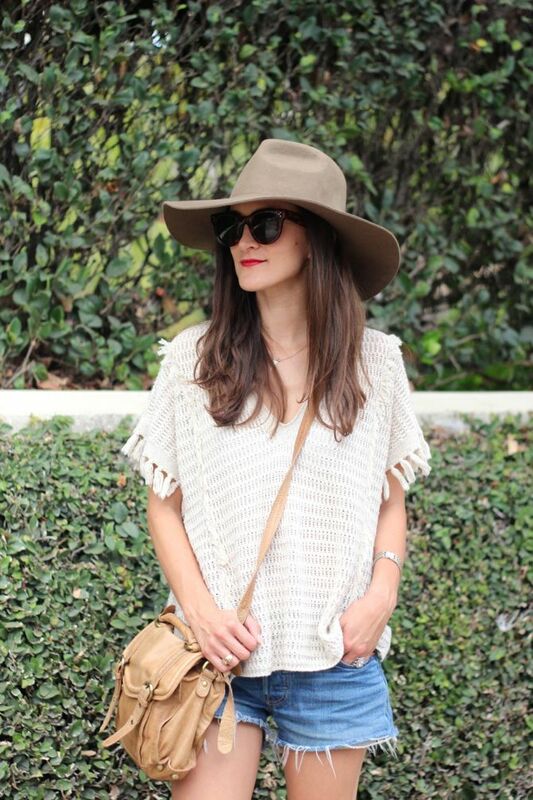 love the crochet & fringe combo. super cute!